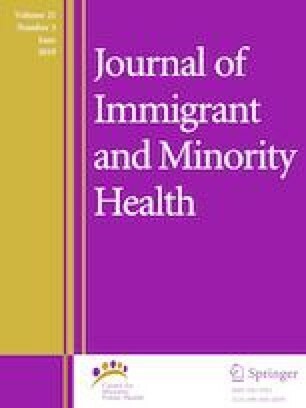 Sexual minorities and immigrants face unique challenges to accessing health care in the United States. This study used data on nonelderly adults (n = 100,667) from the 2013–2016 National Health Interview Survey. Unadjusted prevalence estimates and multivariable logistic regression models (with and without interactions between immigration and sexual minority status) were used to compare health insurance coverage and access to care by immigration and sexual minority status. We did not find any differences in uninsurance, having a usual source of care, and a recent office visit by sexual orientation for US-born and foreign-born adults. However, compared to their heterosexual counterparts, US-born and foreign-born sexual minorities were more likely to have an emergency room visit in the prior year and report financial-related barriers to medical care, dental care, prescription medications, and mental health care. Foreign-born sexual minorities were more likely to have an emergency room visit and unmet mental health care needs due to cost compared to other subpopulations after controlling for sociodemographic characteristics. Broadening the knowledge and scope of research on sexual minority immigrants can inform targeted health policy approaches with the goal of achieving health equity for sexual minority immigrants. Karpman M, Skopec L, Long SK. QuickTake. Uninsurance Rate Nearly Halved for Lesbian, Gay, and Bisexual Adults since Mid-2013. Urban Institute Health Policy Center. http://hrms.urban.org/quicktakes/Uninsurance-Rate-Nearly-Halved-for-Lesbian-Gay-and-Bisexual-Adults-since-Mid-2013.html. Published 2015. Accessed 3 Mar 2016. National Center for Health Statistics. National Health Interview Survey: Survey Description. Hyattsville, MD; 2016. ftp://ftp.cdc.gov/pub/Health_Statistics/NCHS/Dataset_Documentation/NHIS/2015/srvydesc.pdf.